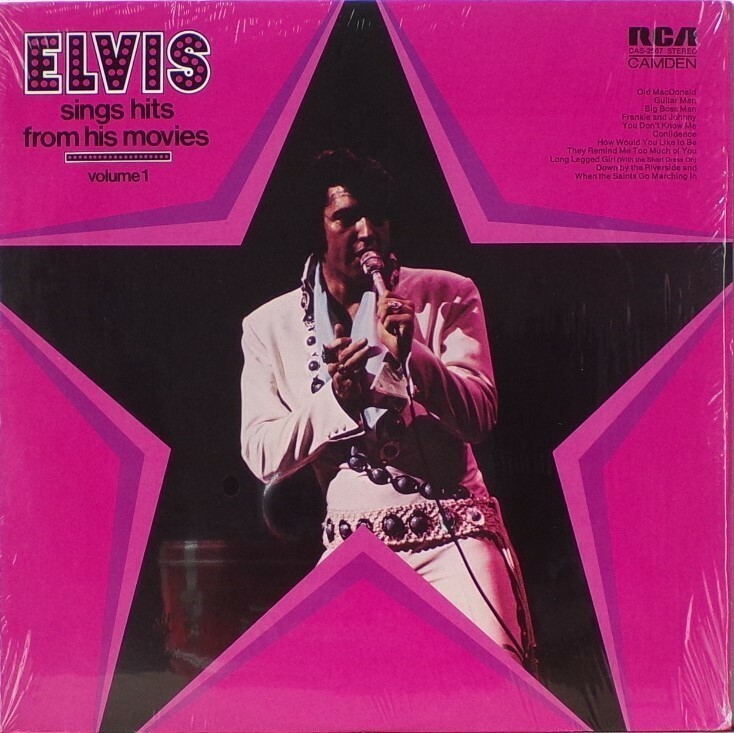 Elvis Sings Hits from His Movies, Volume 1 is a compilation album by Elvis Presley, featuring tracks from four of his movies plus two non-movie tracks. The album was released in June 1972. It was certified Gold and Platinum on 1/6/2004 by the RIAA. Details​​​ :Front Cover : Photo of Elvis. Title top left. Catalogue number top right. 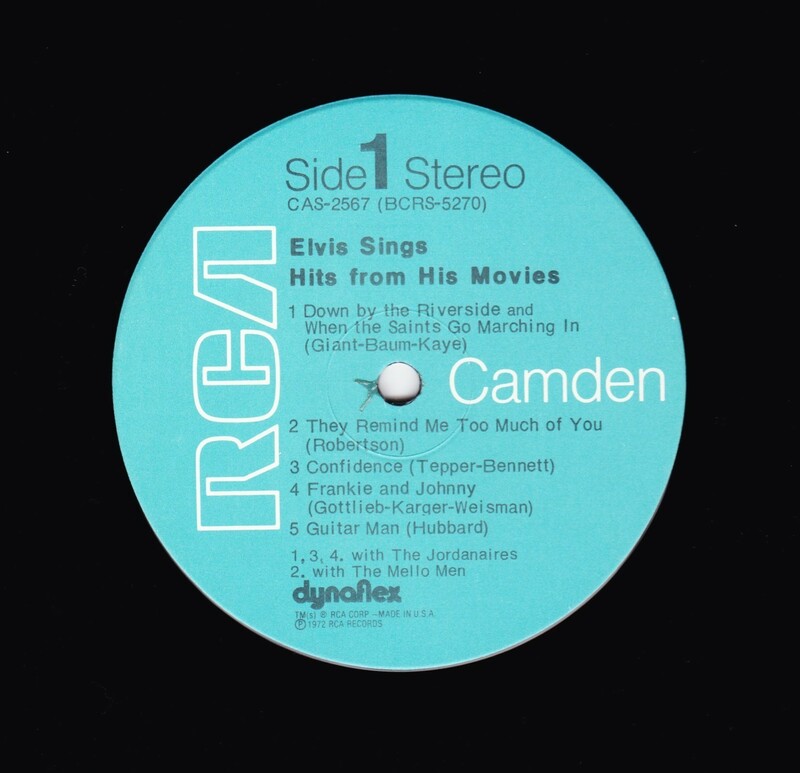 Camden top right. 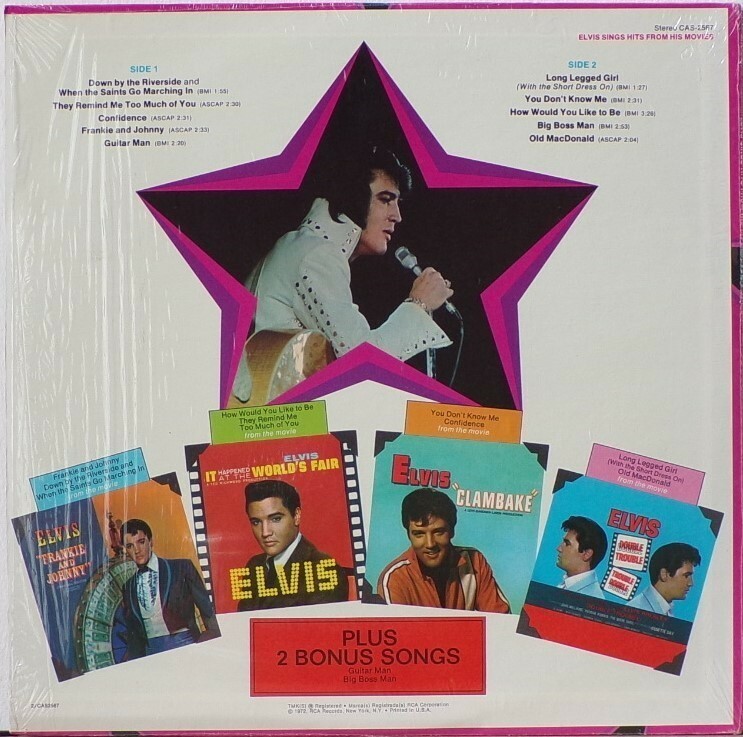 ​​Rear Cover : Photo of Elvis & 4 photos from earlier movie albums. Catalogue number top right. Printed in U.S.A. bottom centre. 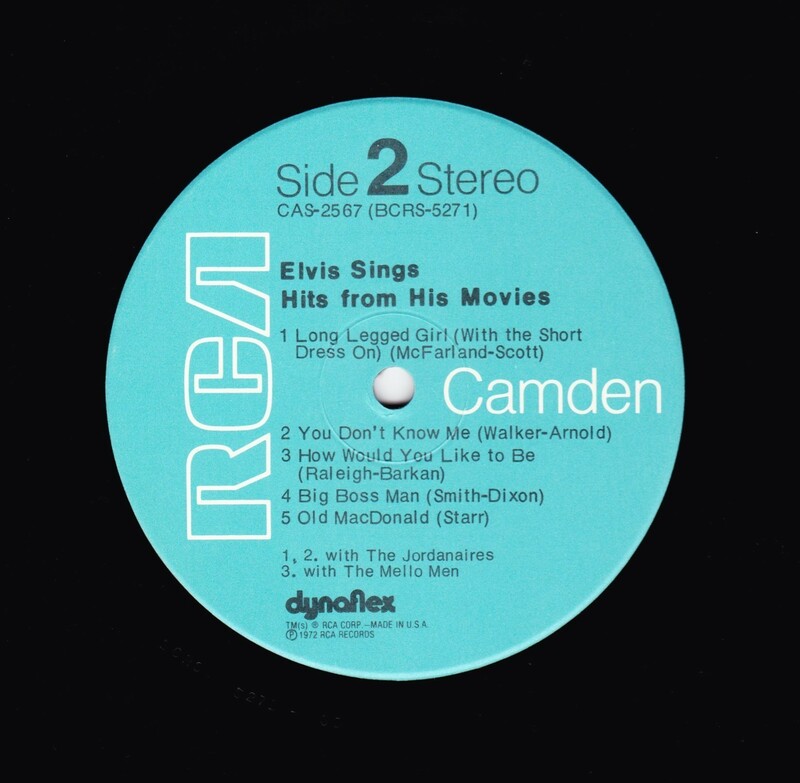 Side 2 : Stereo at top.